There are a lot of things a channel VP can do to accelerate revenues, but choosing exactly what to do based on an honest assessment of your channel’s life stage is a great place to start. All channel organizations are at different stages in their development and maturity, and each stage indicates a different set of improvement priorities and actions. 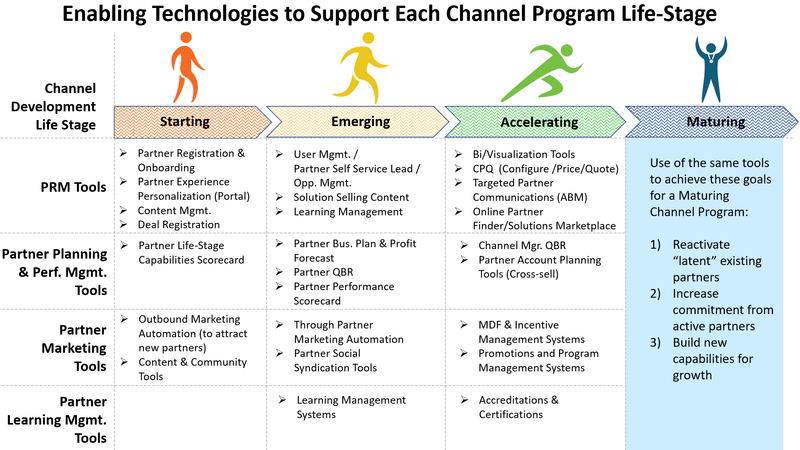 Early channel program life-stages focus on partner recruiting and initial activation. Later life stages tend to center on partner commitment development, increasing percentage of partner-led deals, and partner pipeline development. Partner program development needs to be acutely aware of exactly where a program’s development is today and align growth initiatives with its current life stage. Let’s look at the goals and needs of partners, channel managers, and channel executives at each of channel program life-stages. Once you have determined your channel program’s life stage, you’ll need improvement goals and an action plan to achieve your goals. With limited resources (and likely too many to-dos! ), understanding the current stage of your channel can really focus efforts and make sure you are addressing the most important things first. Creating an action plan can be the best way to organize your approach. This will help your organization invest in the right initiatives and drive to measurable goals as you begin to execute. At the starting stage, there are several key areas you should consider. Depending on your priorities, rank the most important objectives relative your organization, then consider what you need to do drive the required behavior with brand new and early stage partners. REMEMBER- a prospective (or even contracted) partner won’t mean anything for your channel program until they start producing revenue. Less than 10 percent of signed channel partners ever reach that stage – what can you do to make sure you do better? How do we attract new partners? Message: What story/message would be compelling in terms of partnering with us? Focus: How can we focus this message to drive demand for the program? Online: How would partners find us online? Demand: What else can we to drive partner demand (sales team efforts, events, brand awareness)? Invest in messaging and content that is compelling to partners, thinking about what’s in it for them. Focus messaging as specifically as you can on your prospective partner base. The more relevant it is the better. Once a partner finds us that happens next? Website: How does your website address the needs of new partners? 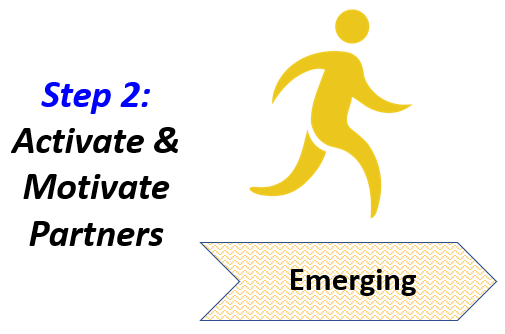 Process: If they are interested in learning more about partnering with you – what happens next? REMEMBER– this is the first experience a partner may have of your company. First impressions count. Optimize your website to provide compelling and accessible content for organizations wishing to explore a partnership with you. Provide a clear next step for partners wishing to sign up – make it easy for them to take the next step. How do we make sure a partner who expressed interest doesn’t disappear? Engage: How do we engage with our prospective partners before they are signed up? Pro-Active: How can we pro-actively continue the conversation with a partner who expressed interest? Connect your partner sign up process to your channel team. Make sure you reach out to prospective partners and help them take a next step. The human touch is very important. Create metrics that flag up partners who expressed interest but did not engage again after a certain period. Use these reports to follow up and find out why. This is the arguably the most critical life stage as it focuses on converting ‘signed’ partners to ‘revenue producing partners’. If you can improve the percentage of partners who successfully complete this stage, it will have a direct impact on channel revenue and growth. How do we encourage and enable a partner to sell for us? Partner Types: Think about the different types partners who are registering and the needs they have. Requirements: What is baseline requirement to enable a partner to sell? Support: What do you need to provide to meet these requirements? Create and deliver needs-focused program content. Map this content to the different profiles of partners you are engaging in the program. Provide easy access to the content that will enable a partner to quickly learn about your offerings. Create a way to assess ‘sales readiness’ content. (e.g., a simple online course or test that partners can take). How can we encourage rapid deal flow? Deal Registration: Have you created an easy-to-register deals process? 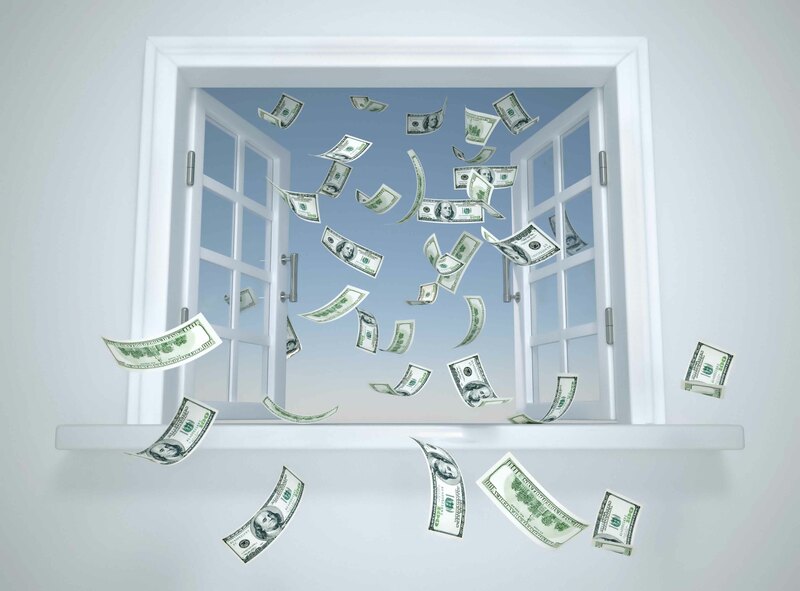 Incentives: Are there incentives that can be provided to drive partners to register opportunities early in the sales cycle? Implement a deal registration capability which makes it very easy for partners to provide you with information regarding the deals they are working on. Create a rewards or gamification incentives that encourages partners to register opportunities that are not ready for quoting/contract. For example, offer a gift card reward if a partner successfully set-ups a presentation/demo with you included. What can we do to pro-actively trigger revenue? Leads that you generate and send to a partner can be a great way to encourage a give and take relationship with a new partner. Consider your lead flow and if there is a way to allocate certain leads to partners who express an interest with working with you. Introduce an outbound lead distribution process/policy. Make it easy for partner to access leads. Map your content/sales support to the leads you distribute – your partners will find it easier to close business if you provide them with the correct assets, support and insights based on the parameters of the opportunity. How do we plan for success with partners? Partner P&L: Consider a way to show partners the financial benefits of selling with you. If you lay out the benefits in terms of revenue it will be more compelling for the partner. Introduce a simple business planning process that you can use to create a revenue focused plan with your emerging partners. Make it easy for them to see the benefits based on hard ROI in the relationship. Once partners are generating revenue for your business, it is very important to pro-actively drive behavior that will keep them actively engaged and growth focused. At this stage, more structure is needed in the relationship you have with your partners. How do we track plan and partner performance? Business Plan: Is there a way you plan with partners that makes them responsible for collaborating with you tracking to agreed goals? Deal & Action Plan Tracking: Are we enabling partners to provide status updates on their deals, marketing programs and plans? Introduce business planning tools that make it easy for your partners and channel team to implement and track to agreed plans. Optimize your partner portal to ensure every use can make easy updates to all key records that are required to understand partner performance. 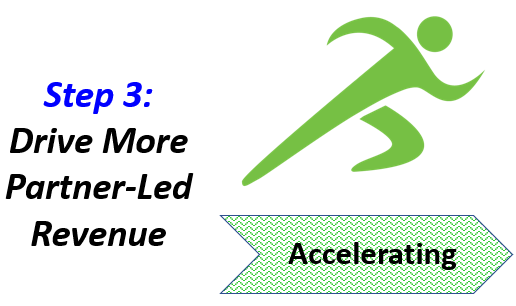 How can we pro-actively drive more revenue generating activity with our partners? Growth Opportunities: How do we make sure partners are aware of revenue generating opportunities such as product launches, promotions or time-based incentives? Create communications and alerts that notify specific partners of what’s happening in your program and how they can make money by taking actions you recommend. Make sure the content is focused to the profile and interests of your specific partners. REMEMBER- just having offerings is not going to work unless your partners are aware of what’s available. You need to be pro-active in driving behavior through targeted communications and calls to action. How can we drive more outbound marketing with partners? Demand Generation: How can we enable partners to execute marketing and social campaigns on our behalf. MDF: How can we provide partners with marketing funds to drive more revenue on our behalf? Implement ‘through partner’ marketing campaigns by providing your partners with the content, assets and support they need to create demand on your behalf. Implement a structured ‘MDF’ program where you reward partners through the allocation of marketing funds based on their performance in your program. How can we help partners deal with scale as revenue increases? Support Enablement: How can we make sure the team on the partner side is sufficiently enabled and authorized to deliver and support our solution at scale? Create structured training and certification programs for sales and support staff at your partner organizations. Focus on technical and implementation resources who will make sure your partners customers are happy as they deliver solutions they have sold on your behalf. 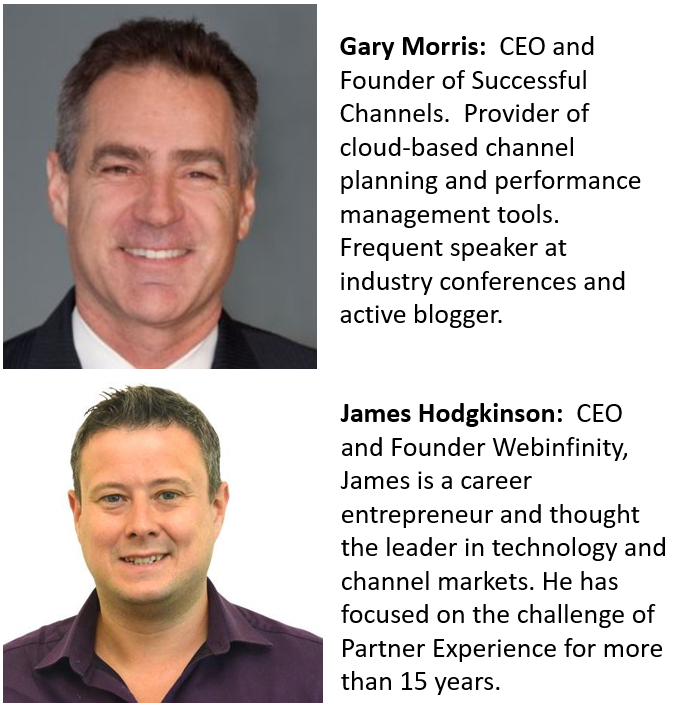 Once you reach maturity in your Channel Program, it is critical to continually monitor and optimize your program while also delegating more responsibility to your partner and channel sales teams. REMEMBER – If you laid the correct foundations for this in earlier life cycle stages, you will be in a great position to understand and optimize your mature program. If not, you may need to go back and make sure some of the steps you should have taken along the way have been addressed. What is the best way to measure program performance? Metrics: Think about the partner performance metrics that are most important to your business. Set targets based on what you think you should be achieving. Measurement: Measuring your program against these metrics will provide direct insights in relation to overall performance. 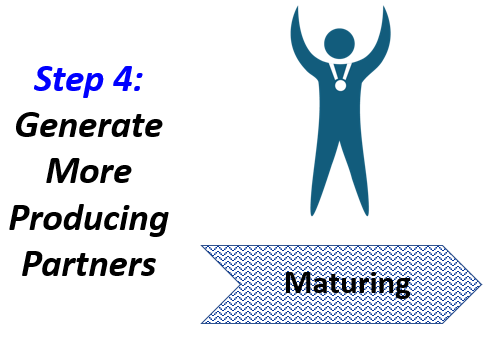 Define structured Key Performance Indicators (KPIs) across the different life cycle stages of partner engagement. Perform regular analysis of your key performance indicators across the program. Use these KPIs to stack rank your partners against benchmarks for your program. How can we enable our partners to drive growth within their organizations? Brand Advocates: Who are the most active champions/advocates of our company within our partner organizations? Growth Enablement: How can we enable these people to drive growth within their companies? Designate ‘champions’ you are granted additional permissions to manage their organizations relationship with you. Provide easy self-service tools allowing your champions to manage their own users including the ability to onboard and enable new people within their organizations. How can we help our partners promote their business to more customers? Partner Promotion: What routes do we have available to give our partners more exposure and advocacy? Deserving Partners: How do we determine which partners are deserving of this support? Utilize your website/search real estate to provide a partner/solution finder that will enable customers to connect with your partners. Include a lead generation component enabling partners to get immediate notification of opportunities created because of this promotion. Use your partner KPIs analysis to rank the order in which partners are displayed based on customer search criteria. Provide partner champions with the tools they need to manage their own online profile. How can we re-engage with inactive partners? Lapsed Partners: Why have partners previously engaged stopped working with us? Value Proposition: How can we make it compelling for them to come back to our program? Produce analysis reports based on partner inactivity. Create triggers to your CAMs alerting them when partners are showing trends towards inactivity. Pro-actively reach out to inactive partners with highly tailored messaging/offers designed to create new interest. Follow up on communications until status of partner intent is obtained. How can we grow the footprint we have with existing partners? # of Active Contacts: How many people at our partners are actively engaged with our program? Engagement: Is there more that could be done to drive engagement with more individuals at our partners? Messages: What messaging/offers would be compelling to encourage new people at our partners to engage with us? Perform analysis on your partners to determine what level of engagement you have with each (for example no of active employees at each account vs. total employees). 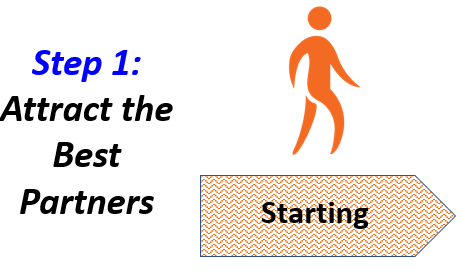 Target individuals at existing partners who are not currently active in your program but who could be suitable to engage. 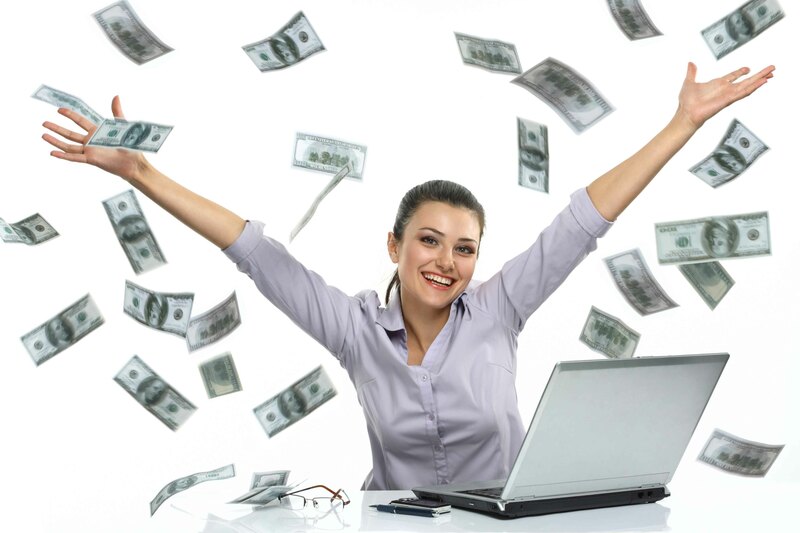 Pro-actively reach out to these people using outbound marketing campaigns. Provide a tailored role-level on-boarding process for new users at existing partners. Create and deliver content that would be appealing to the profiles of the targets you have identified. REMEMBER – just because you have a mature relationship with a partner that does not mean you have a mature relationship with a person at the partner who may be expressing interest in your program for the first time. Make sure your messaging and content is cognizant of that. How do we know what people at our partner organizations need and want to help drive success? Survey: Are there ways to ask your partner contacts what they really want? How can you use this feedback to better serve your community? Implement partner self-profiling and feedback mechanisms within your partner portal. Have users provide information with a ‘little and often’ mindset. Use the data collected to create personalized experiences that address the requirements of the partners who provided feedback. REMEMBER- in a mature channel it is not realistic for you to maintain accurate data on your partners and users. If you can involve the user in this process they will take ownership for their own data. This not only improves the quality of your information, it will you also help you better serve the needs of your user ecosystem. Think Facebook – everything is personalized based on who the person is, what they like and how they behave. How can other organizations help grow our partner base? Extend: Are there other organizations in our ecosystem who can help extend our reach? Recruit: How can we support these organizations to recruit and nurture partners on our behalf? Map your extended ecosystem to identify organizations that are well positioned to attract and onboard new partners/users on your behalf. For example, regional distributors or master agents. Develop a plan/program to enable these organizations to manage demand generation processes on your behalf. There are a range of tools available for supporting each channel program life-stage. The key to improving partner productivity and revenue contribution is to select the right tools for the life stage of your program. Achieving sustainable growth with your channel is only possible if you match your strategies, resources and tools with your channel organization’s life-stage. The first step is to figure out exactly where your channel program is in its life-stage development. Then you need to define your goals, needs and resources to this life-stage. This alignment will guide your strategy to select the right systems and tools to achieve your channel life-stage goals. We have found that channel organizations that employ a life-stage focused strategy are 2-3 times more effective versus those that do not.